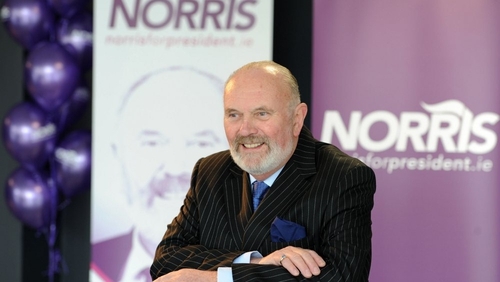 Independent Senator David Norris has launched a campaign to secure a nomination to contest this year’s Presidential Election. Speaking at the announcement, he said the time has come for political revolution that puts the needs of the people first. He said the challenge of getting nominated is an arduous task in itself. Senator Norris added that the support he has received so far should be helpful in securing such a nomination. He said he was seeking election not for glory, but for the difference the office can make to people. The role of president is to shine a light on all that is great about Ireland, he commented. Senator Norris said he has written to all the chairpersons of every county council in the country. Asked about canvassing newly-elected Independent TDs, he said he would be speaking directly to all of them and he would seek support whenever he could get it. Mr Norris said as president he would not need the full salary, and that he would place a portion of it to one side, which would set up a fund to make the presidency more accessible. Mr Norris said his sexuality has not been an issue, but if it is, he will deal with it. He would not see himself as a gay president but as a president who happens to be gay, he added. Asked about campaigns opposing him from right-wing groups, he said he could not prevent a hostile view, but said he had lived a decent and good life. On the issue of funding, he said he has been the main person to fund his campaign, but that he had started to receive contributions. He said some people had made conditions as low as €5, which he said was appreciated. Meanwhile, the Labour Party has indicated a decision on selecting a candidate for the presidential election will not be made until April. The selection of a candidate is made jointly by the National Executive and the Labour Parliamentary Party. 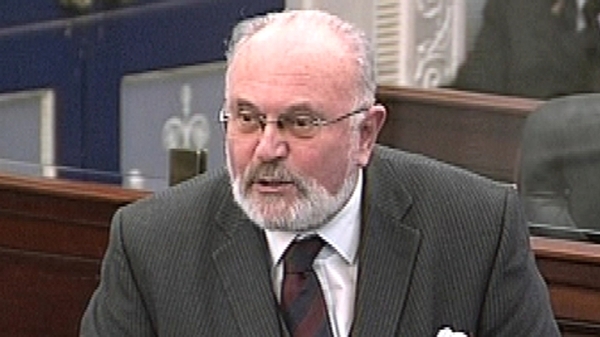 The make-up of the new Labour Parliamentary Party will not be complete until after the Seanad elections, which are due to be held next month. A spokesperson for the party said as a result there is no question of the party making a decision on a presidential candidate this week.